The Australian dollar was seen in red, trading lower this morning as investors looks towards to the Federal Reserve meeting to be held later this week. 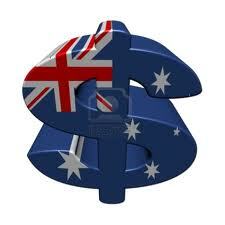 The AUD fell from its solid level of USD0.9300 to USD0.9200 overnight. The Aussie dollar has not been able to keep the local currency stable above USD0.9300 for the past month as investors raise concerns regarding possible rate cuts in Australia, which could slowdown the economic growth in China. The uncertainty of the cut down of the US $85 billion monthly stimulus program continues to also cause fears from investors. The Governor of Reserve Bank of Australia (RBA) Glenn Stevens is expected to make a speech at the Anika Foundation Luncheon. The Speech is expected to cover the economic policy issues and possible hints on whether the bank would proceed with further rate cuts. The US Dollar advanced against most of its major counterparts, while all focus is on the upcoming two-day Federal Reserve meeting. The Committee of the Federal Open Market is expected to verify when it will begin to cut down the QE stimulus program, which is expected to begin September. The US is expected to release a couple of reports including the US second quarter GDP, the manufacturing data on Thursday and the non-farm payrolls to be released on Friday.